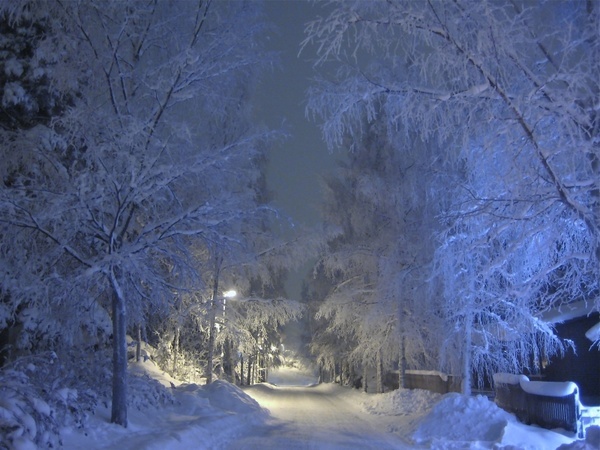 Here is one of my favorite winter poems, Stopping by Woods on a Snowy Evening by Robert Frost. Have you ever made snow-cream? I love it! We always used sweetened condensed milk and vanilla flavoring to make ours. What's your favorite snow-cream recipe? Of all the poems I've read, that is one of the few I've ever enjoyed. Ha! We had snow sometime around the beginning of November which is STRANGE for us. Hoping for a white Christmas! Although the poem was lovely, I have to say that the picture you posted was absolutely captivating! I miss the snow. It snows a little bit where I live in Arizona but not like it did when I lived in Rhode Island and Maine. I have yet to make snow ice cream but what we do make is ice cream using snow and two coffee cans. You fill a regular-sized coffee can with your ingredients and close it and seal it with duct tape and then place it in a larger coffee can with snow, ice and rock salt. Seal it up and have the kids roll it around...a lot. :) It is pretty yummy. When I was looking for pretty snow pictures to post, that one really stood out to me. One look and I could almost feel and smell the crisp winter air. The lighting is so beautiful and quiet. Makes me want to visit that place!